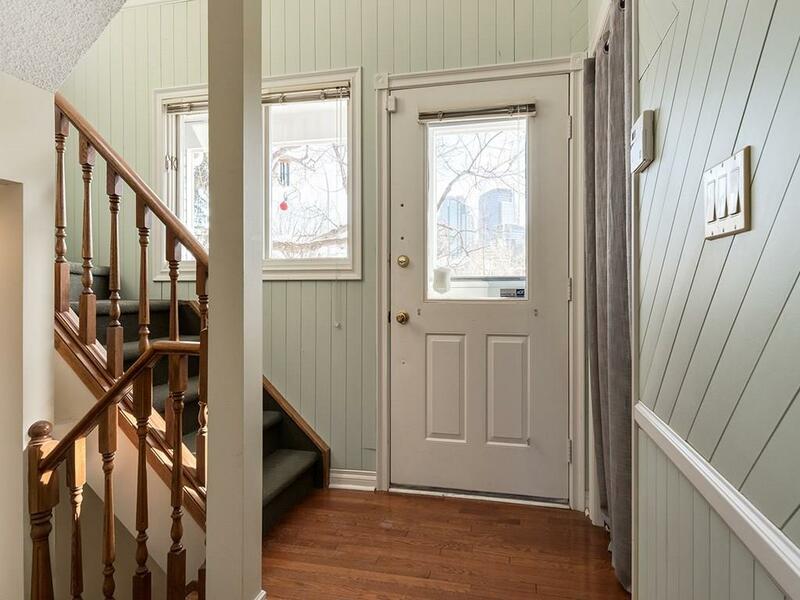 Two story townhouse in sought after building with double attached garage in prime Kensington location. 2 bedrooms, 2 bathrooms, almost 1300 sq. ft. with stunning city views. The home is surrounded by trees and is across from a park. 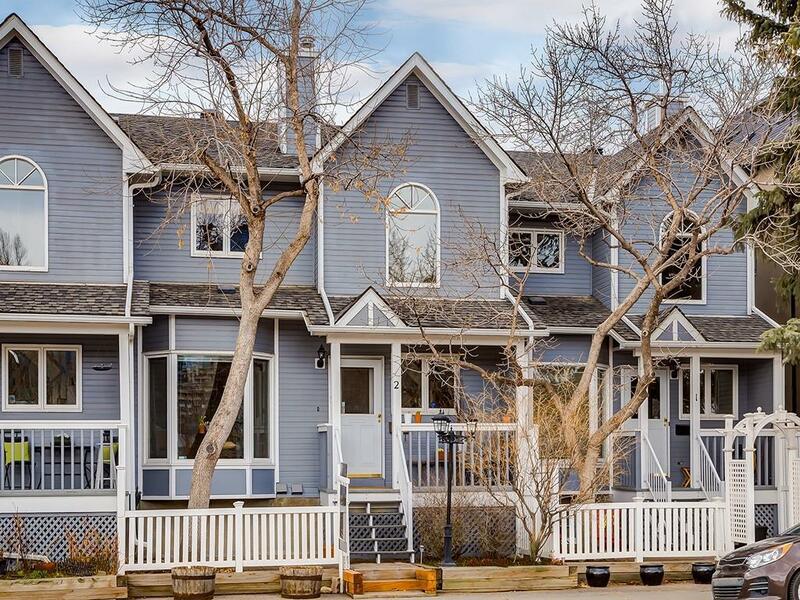 Just minutes to Downtown, steps to trendy shops and restaurants, the LRT, & the Bow River. The main floor has hardwood floors throughout, a vaulted entry, a large (21'x17') living room with a natural gas fireplace, and a sliding door to the back deck. The kitchen has ample cabinets, stainless steel appliances, subway tile backsplash and a charming dining nook and awesome city views. 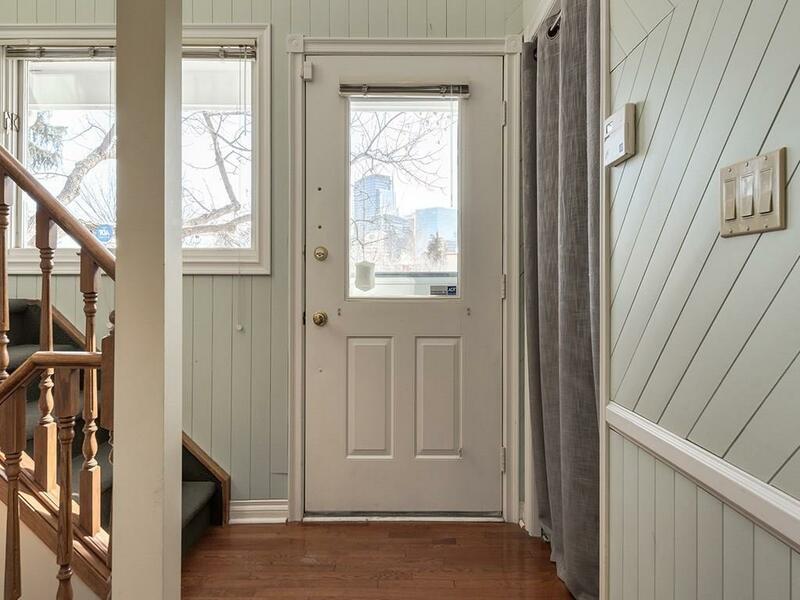 The second floor has a large master bedroom with a walk-in closet, a wood burning fireplace, five piece en-suite bathroom with French doors, a large jetted tub, and a walk-in shower. A second bedroom and a four piece bathroom and laundry complete the upper floor. 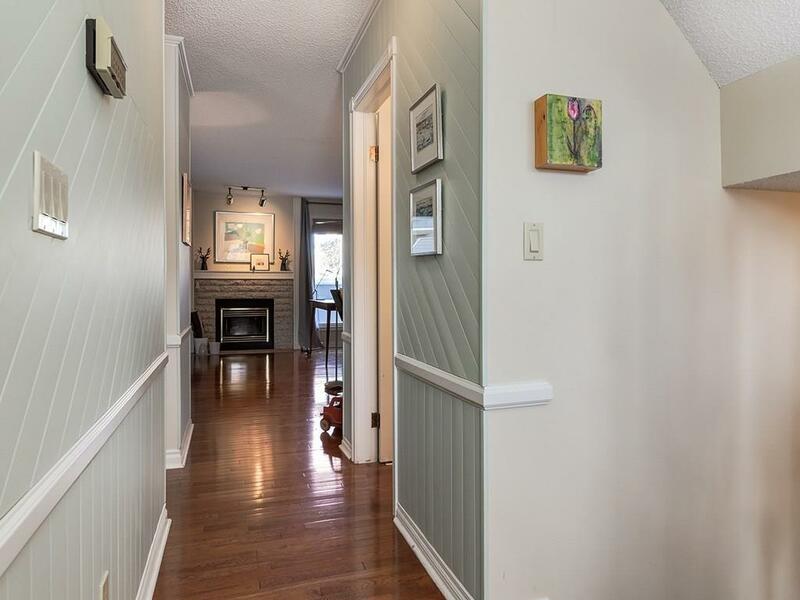 Attractive curb appeal for this timelessly styled condominium.